Geomagnetic signals generated or propagated through the ionospheric region gets modified at the dip equator i.e. geomagnetic field variations of undergoing equatorial enhancement during the daytime. 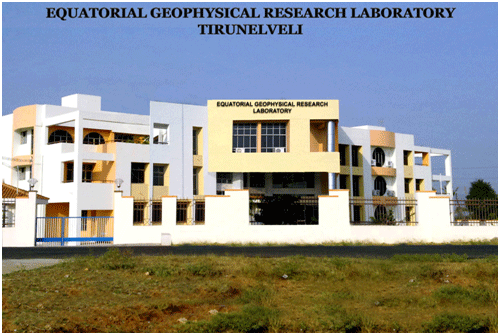 Tirunelveli Magnetic Observatory (M.O.) started operations in 1996 on nearly the same latitude as that of Trivandrum M.O. (1957-1999), so that recordings of the earth’s magnetic field in the Indian equatorial region remain in continuation.